Clear Sinus and Ear® contains a unique homeopathic formula combined with supportive herbal ingredients to provide safe and effective relief from symptoms of sinus and ear congestion related conditions. Results may vary. Clear Sinus and Ear® is used successfully by pilots, flight attendants, scuba divers, and swimmers? I had suffered horribly from a debilitating sinus infection about a year ago where the strongest antibiotic (Bactrim) the doctor could give me did not work. I turned to Clear Sinus & Ear and began to feel relief the very same day. Gratefully, I was able to open my eyes again and lift my head – the first time in a week. So when my current cold started showing signs of turning into another sinus infection I turned to your product for immediately for relief. With Clear Sinus & Ear I can function during the day and get my job done without suffering from any side effects such as the nausea, vomiting and drowsiness I experienced with the prescription drugs my doctor gave me. This is my first thank you to you, but I am glad I received the wonderful benefit the second time around as well. * Eliminate or reduce dairy products from diet as dairy products increase mucous production. * Vitamin C helps to prevent and treat infections. * Vitamin A supports healthy mucous lining of the respiratory tract. Take 1-2 capsules 3 times per day as needed or as directed by your healthcare practitioner. Take with food if mild stomach discomfort occurs. Do not exceed 12 capsules in a 24-hour period. * Avoid situations which may trigger an allergy attack. 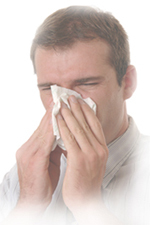 * It is helpful to drain sinus infections using steam. 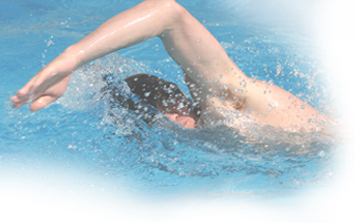 * Remove excess water from ears after swimming, diving, bathing, or showering. * Clear Headache may be taken to reduce and eliminate sinus headaches. * If symptoms do not improve or are accompanied by a fever, consult a doctor. * If you are pregnant, nursing, taking medication, or have a medical condition, consult your physician before taking this product. * Keep this and all other medications out of reach of children. Click the button below to add the Clear Sinus and Ear to your wish list.